The holiday season is upon us and this means most of us are looking to Pinterest for ways to help our children enjoy this magical time of year! We like to make edible crafts in our classroom. 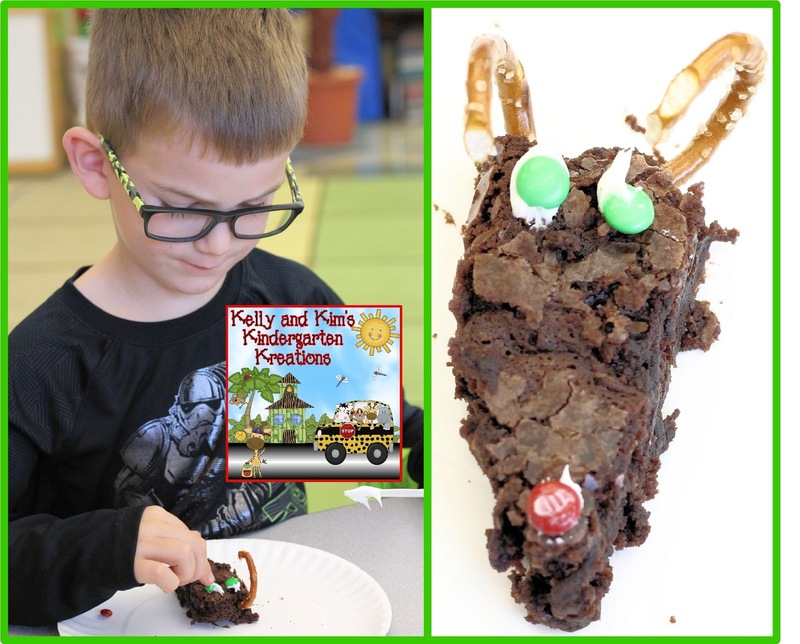 The children LOVE to make the food crafts and of course eat them too! We found a few snacks that we thought we would love to try. We would like to share them with you too! Enjoy! 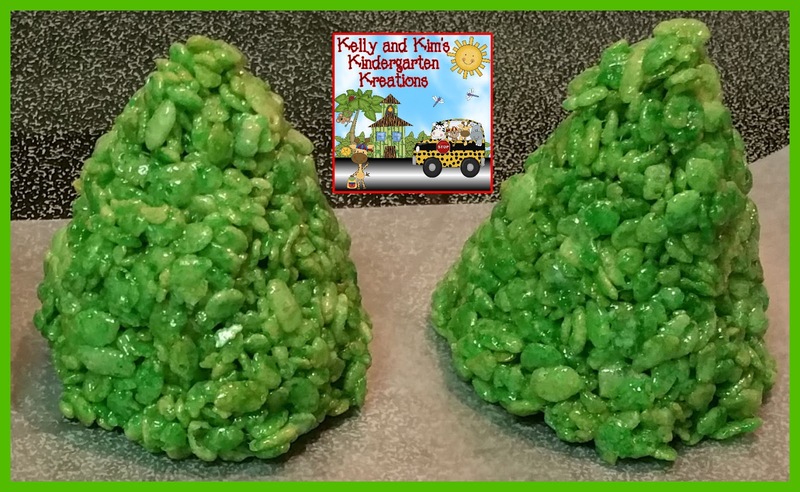 Who loves Rice Krispie Treats? 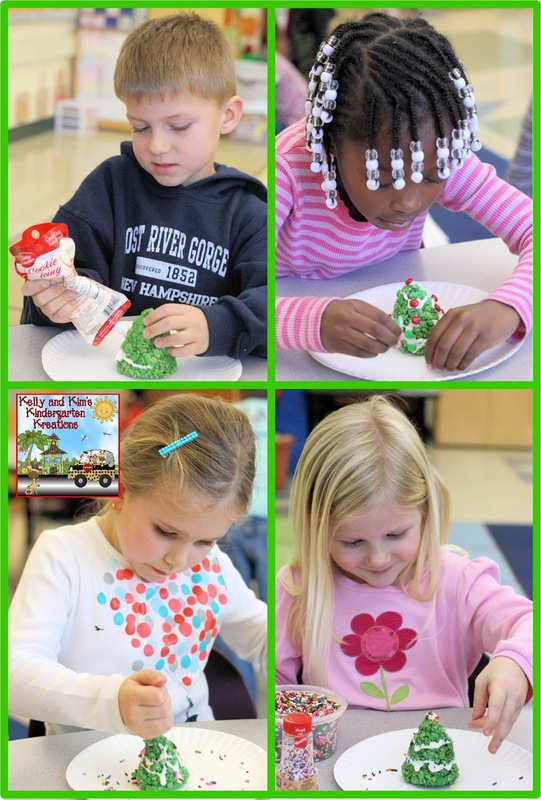 These trees are a fun twist for your Christmas festivities in the classroom! We followed the original Rice Krispie Treat recipe and added green food coloring to the marshmallows after melting them. We formed the mixture into a cone shape to create a green tree. 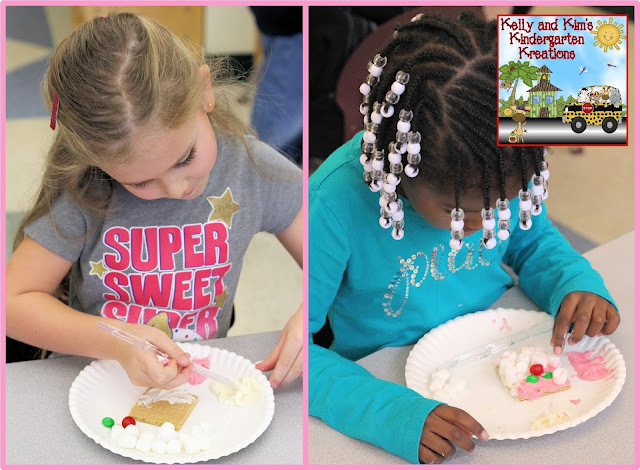 The children did the rest...icing, ornaments, eating! (If your classroom is allowed to have peanut products, Reese's Peanut Butter Cups are a perfect addition for the tree trunk.) 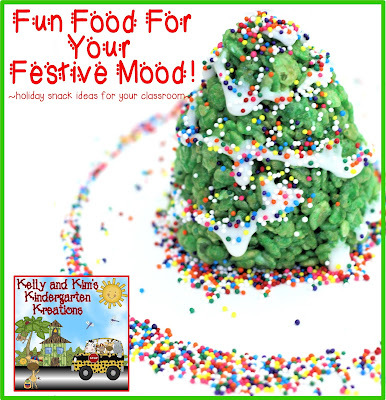 This fun snack has so many possibilities depending on your toppings offered...several children even wanted to add a star. They loved these trees! These were easy for the children to make and didn't require much prep, other than cutting some Mike and Ike's in half. The children loved creating their colorful string of lights! The Mike and Ike halves stick right onto the almond M & M's...looking just like a large lightbulb! These were a cute idea and something pretty healthy, but a little harder for the children to create. 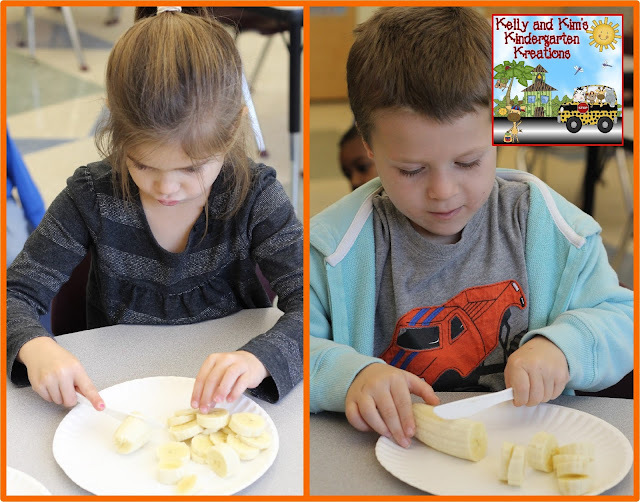 They had trouble getting the bananas and strawberries to stay in a candy cane shape, possibly because the bananas are a bit slippery when sliced. However, they loved eating them! At last, our favorite part......time to eat!!! 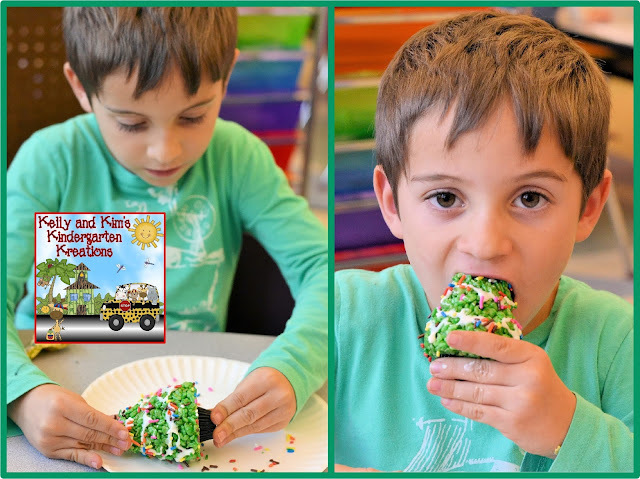 These tasty Santa treats were a hit with our children and very easy for them to assemble! All of these food crafts are fun for the children, but they're also easy for teachers to see how well students listen and follow directions and use a model to help them also. We used graham cracker squares, red frosting (or pink, haha), white frosting, mini marshmallows, and a variety of items for his eyes and nose, such as M & M's, mini M & M's, gum drops, Red Hots, etc. These were yummy and many children asked for seconds...and thirds! We use Cool Whip, mini chocolate chips, and fresh strawberries. Just slice off the top, creating a flat end of the strawberry. Then, slice the strawberry in half, creating a Santa body and a hat. Now, fill a layer of Cool Whip, put his strawberry hat on top, add another dollop of Cool Whip on top, add two eyes....and eat! 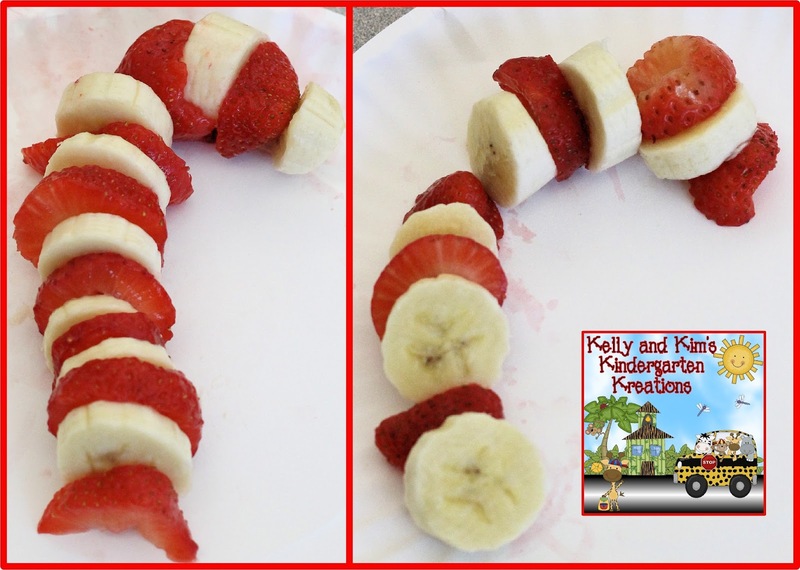 Here is another healthy alternative, a Banana Santa! You will need bananas, strawberries, tiny bit of frosting, mini chocolate chips, and mini M&Ms! This proved to be difficult for the children. The pieces kept sliding around and falling off. They would get the hat on and then an eye would fall off. Then they would get the eye back on and the hat would fall off. It was a hot mess! Haha. So, instead, we cut each of the pieces in half so it would lay flat on their plate. Problem solved! The children were able to make them very easily and then enjoyed eating them even more! These reindeer brownies are just too cute and super easy! Excuse our brownies, we had a little trouble with them getting stuck to the pan, hahaha!! After mixing, we baked the brownies in a cake pan. You can do this at home before hand or mix them with the children. We are fortunate enough to have an oven in the shared area between our classrooms. The children did the rest! They added a red M&M for Rudolph's nose, two green M&Ms for his eyes, and then pretzels for his antlers. Lastly, the got to eat it! Yum! They were delicious! 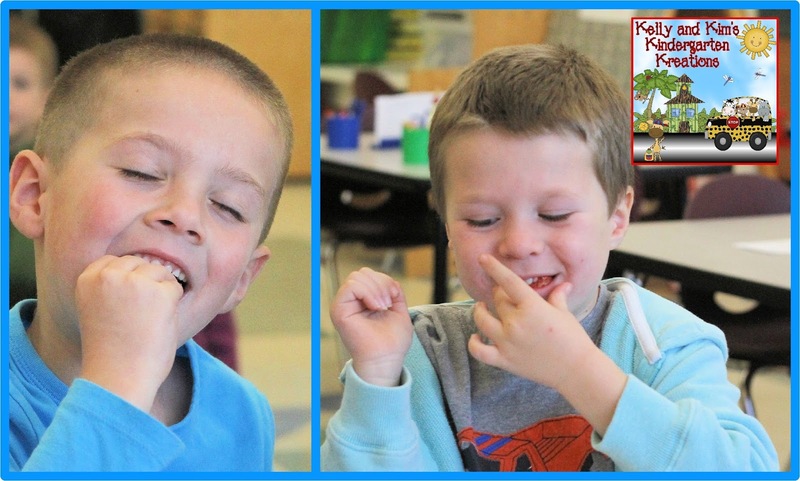 Thank you for stopping by and reading all about our fun week of eating! We hope you can use some of these ideas in your classroom too! Enjoy the time with your students before your winter break! 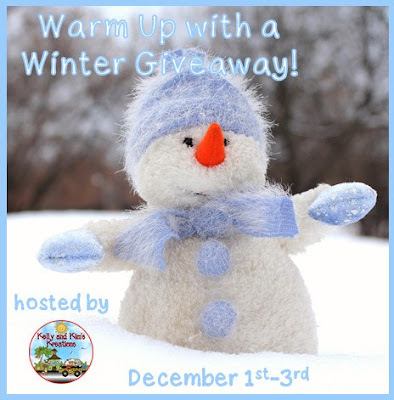 Warm Up with a Winter Giveaway!! With the temperatures dropping and December right around the corner, we thought it would be a great time for a GIVEAWAY!! We are so excited to have teamed up with some of our wonderful teacher friends to give away three exciting prizes! 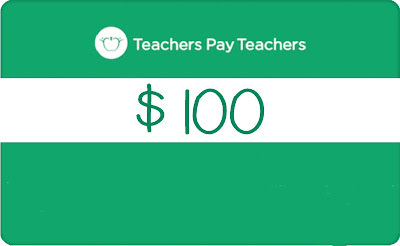 First Prize....a $100 TeachersPayTeachers Gift Card! Wow!! Think of all the great things you can buy! 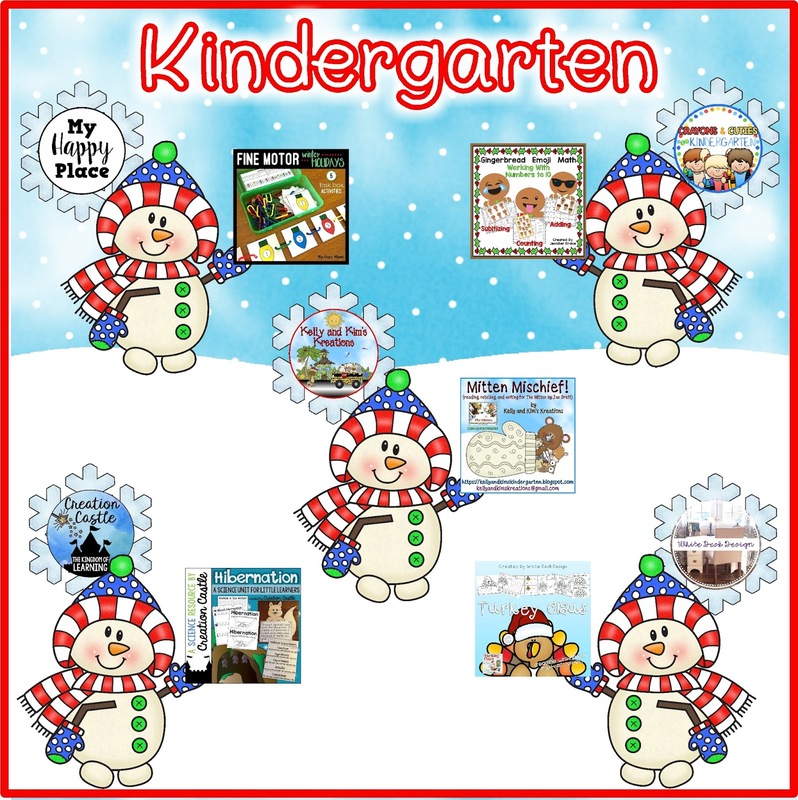 product from five different TpT authors! 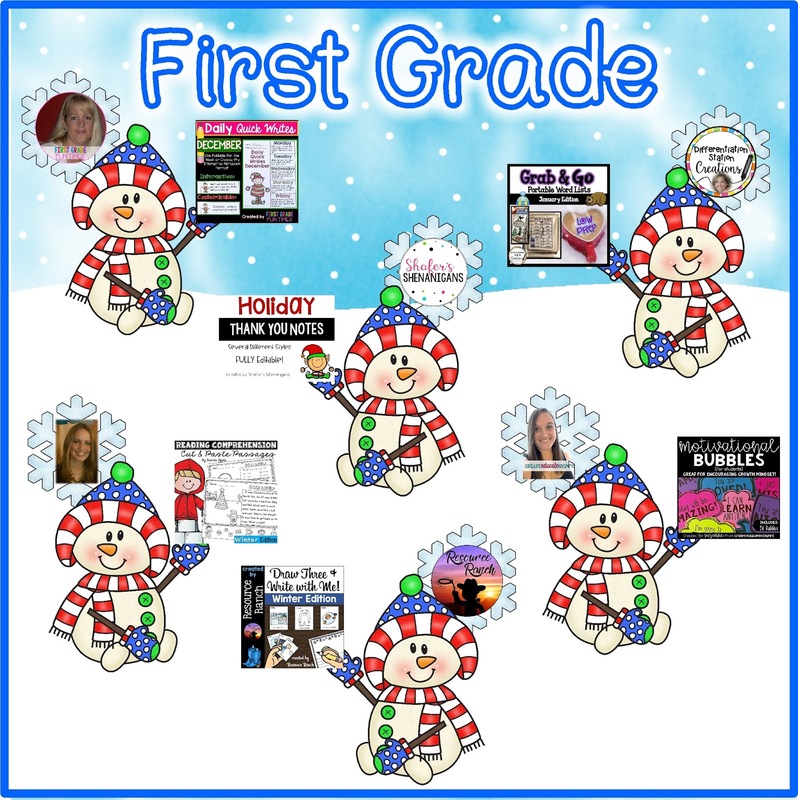 All of these products will be a great addition to your classroom! 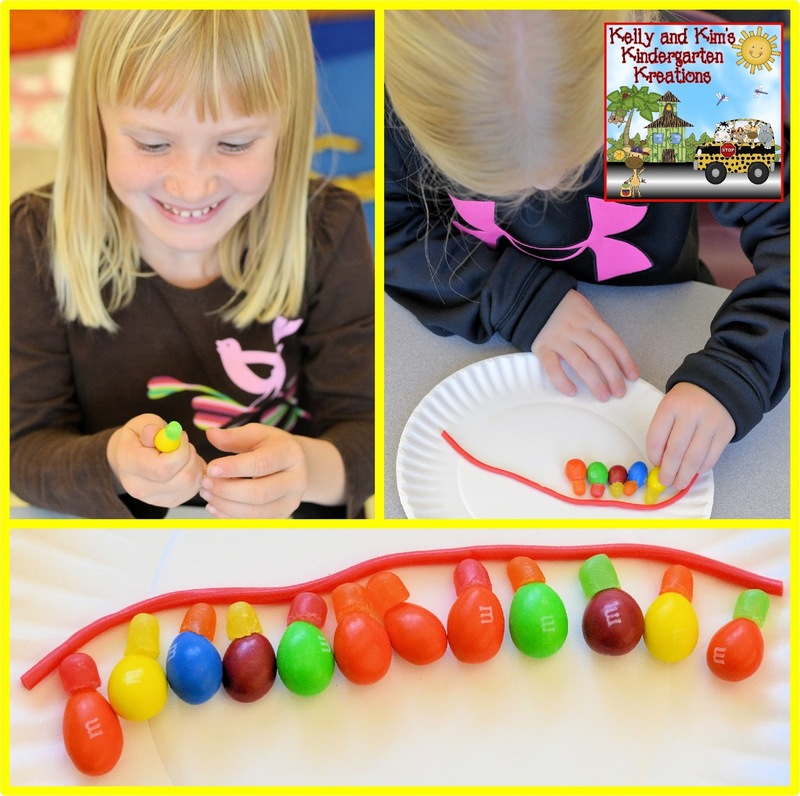 This product is full of fun activities to promote the development of fine motor skills. 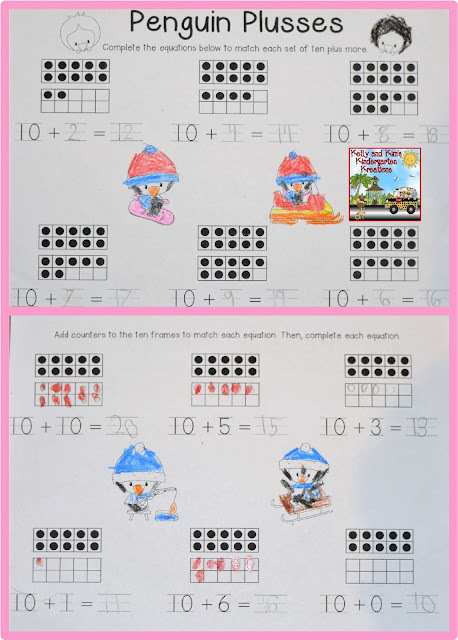 Fun emoji math centers to help your children learn numbers 1-10! Your children will have so much fun retelling this story with the included story props and lacing mitten to store them. This unit will help your children learn about hibernation and why animals do this in the winter. 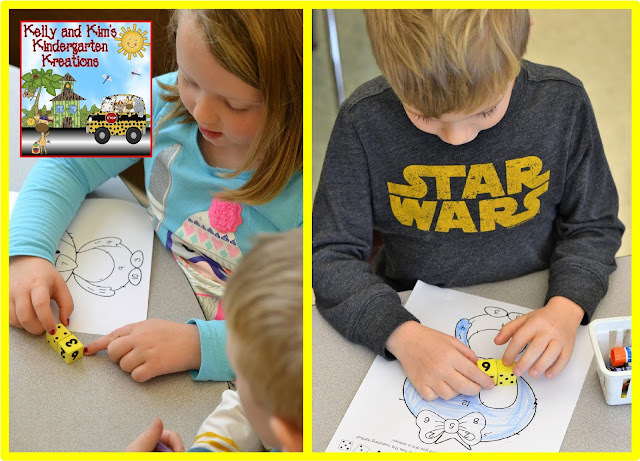 This product includes a variety of activities to go along with an adorable read aloud. product from six different TpT authors! Just look at all these amazing products! 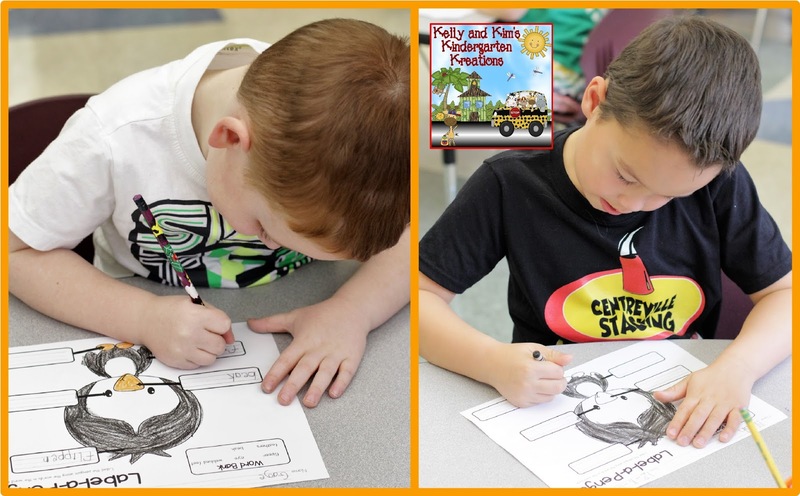 These daily morning quick writes are a way fun way to write about seasonal activities. Children can write about winter anywhere they go with these portable word wall lists! These are perfect for writing thank you notes to parents, students, or staff members or creating gift tags! Read and answer questions to practice comprehension and fluency. characters, settings, and problem combinations. These little notes are a great way to encourage students in your classroom! Enter the rafflecopter below for your chance to win one of these three wonderful prizes! Share with all your teacher friends, too! This giveaway will run from December 1st - December 3rd. Winners will be announced on Monday, December 4th! 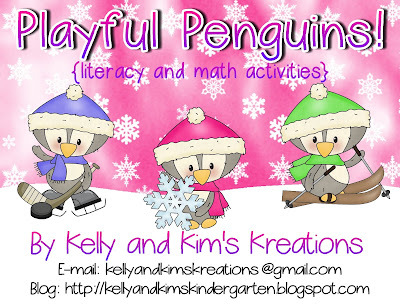 Playful Penguins will be a great addition to your classroom! This bundle includes literacy, math, and science activities. We like to use these Penguin Sentences as a center in our classrooms. Children read each sentence, which is full of sight words and mostly decodable words, to match the pictures. The children match the sentence to the penguin it describes. When finished, they will read the sentences under each penguin again to be sure they matched them correctly. 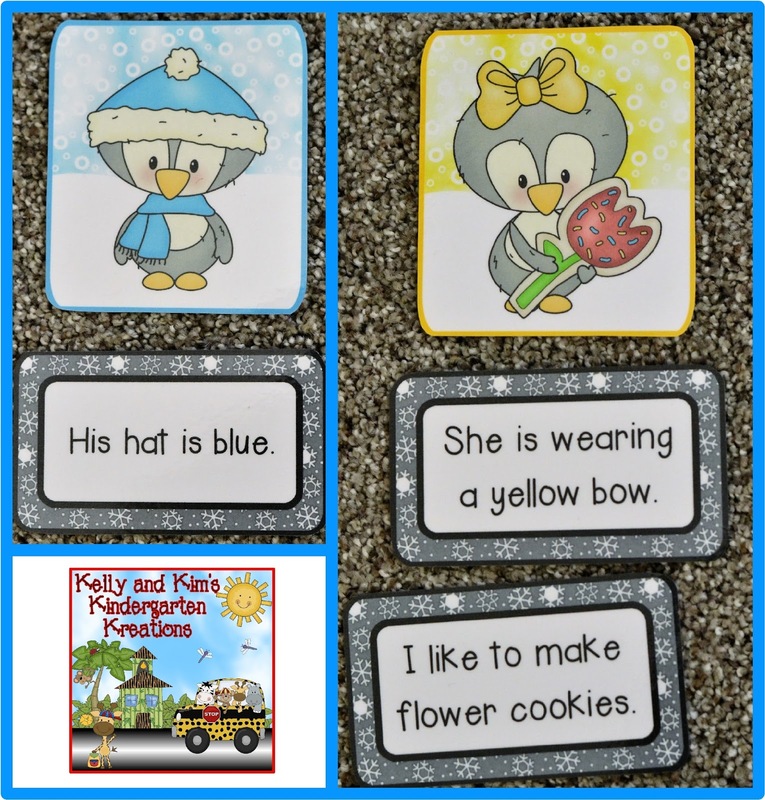 This is a fun and adorable literacy center to help your students practice their CVC words. 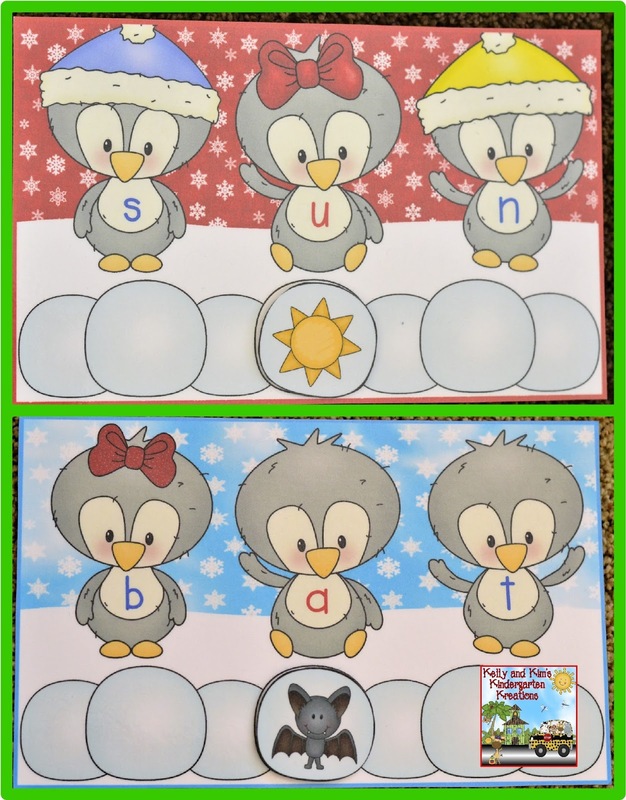 Each card has three penguins on it who are spelling out a CVC word. The children will produce the sounds for each letter or “tap out” the word and blend the sounds together to form a word. They will then find a snowball that has a picture on that matched the word produced and add it to the scene on the middle snowball. This is a great way to have the children practice counting. Counting the penguins in the double ten frames will help children's one-to-one correspondence, counting on, counting by tens, etc. We have also included number cards for the children to match the numeral to the correct set. After children have matched the double ten frames to the correct numeral, we then have them put them in numerical order. Children will be practicing writing ten plus more number sentences to match the double ten frames. Some cards will need counters added to match the number sentence, while others will need the addend to be written to match the ten frame. Students will then find the sum to complete each equation correctly. We have an assessment included for this lesson also. This is easily one of our children's favorite activities to choose during center time. 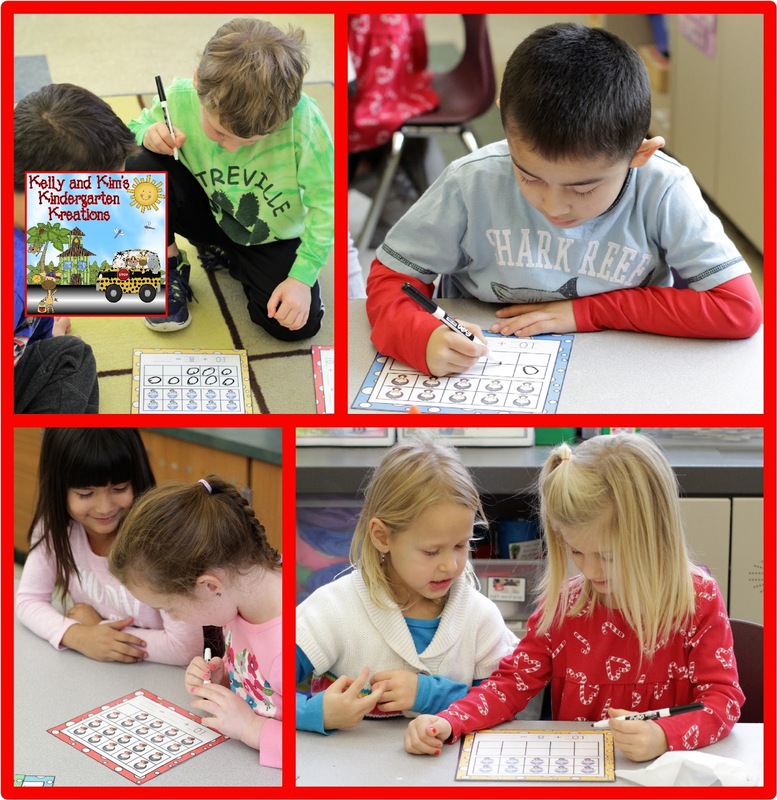 Children will roll two dice, count, and add the dots on the two dice altogether. They then color the part on their picture with the correct numeral that equals the sum of their two dice. Children continue to play the game until their whole picture is colored. Children will label the parts of a penguin using their knowledge of penguins and the word bank provided. They can also color the penguin neatly and then show off to everyone they know! Also included, but not pictured, is a KWL chart for you to use during your unit on penguins. 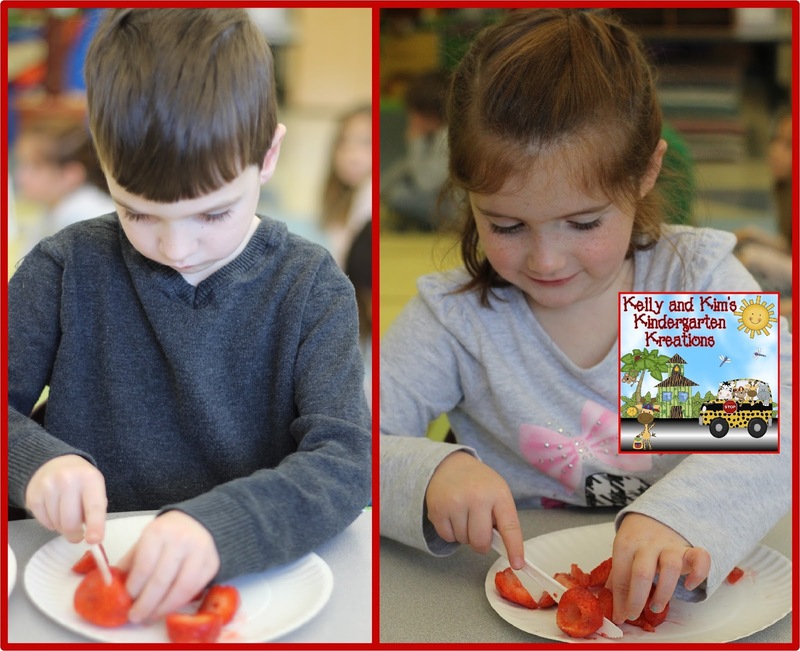 We hope you enjoy these penguin activities in your classroom!